Tuesday the 18th of October 2016 Mayko Hair had the Victoria Telstra Business Women’s Gala night. A brilliant night with a collective of inspirational women and the Mayko team was bang in the middle of it. 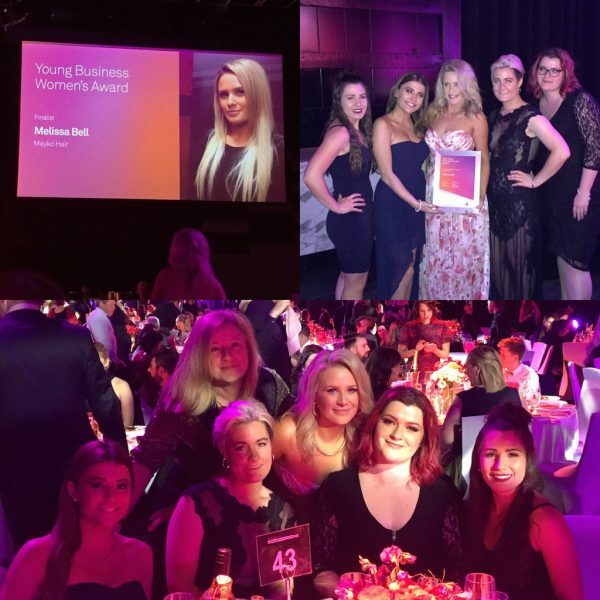 Although Managing Director Melissa Bell did take the win for the state, She took home a beautiful award and inducted into Telstra 2016 Alumni. Thank you to all Mayko Hair clients for your amazing support over the years and Mornington Peninsula Magazine for following our journey.